Vietnam, the stage for this year’s most-watched diplomatic event, is also its showpiece. The west’s one-time communist adversary turned tiger economy is being lauded as the example for North Korea to emulate. 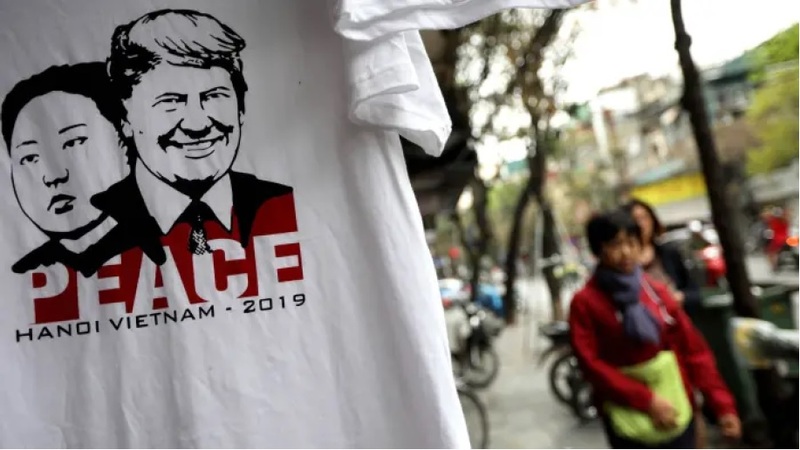 Whilst basking in international adulation as it plays host to the second summit between US president Donald Trump and North Korean leader Kim Jong Un, Vietnam should use its cachet to push for a meaningful prize that lies within its reach: wider recognition among investors. Right now, Vietnam lies on the “frontier” of international investment. Its category, a place where not even emerging market investors are encouraged to venture, puts one of the world’s best performing markets off-limits for most big money managers. While serial debt defaulters such as Argentina and more opaque markets such as Saudi Arabia have been elevated to the much-followed MSCI Emerging Markets index, Vietnam remains in the MSCI Frontier Markets equivalent. Despite consistent economic growth of more than 6 per cent for the past five years, reducing the poverty rate to less than 10 per cent from more than half of the population two decades ago, and the sale of shares in the biggest former state companies, Vietnam must go further to earn a market upgrade. The country meets much of the MSCI’s quantitative criteria, including a minimum of three companies with a market capitalisation of more than $1.6bn and 50 per cent of that in free float. At the last count, Vietnam had at least seven such companies. But Vietnam falls short on qualitative measures, most notably its openness to foreign investors and equality of treatment with domestic buyers. Vietnam’s authorities have made progress in peeling back layers of protection.Vinamilk, the largest company on the Ho Chi Minh City stock exchange with no foreign ownership limit, is now nearly 60 per cent owned overseas. The fact that this has happened, and the company hasn’t upped sticks and left Vietnam, has helped reformists making the argument that ultimately it’s of little consequence who owns the shares. The better the management and governance, the more profitable the company and the greater the benefits to the country. But equalising access for shareholders demands further steps, such as releasing announcements in a second language. While Vinamilk has been doing this voluntarily for years, other companies would see little advantage since they’re too small to be of interest to foreigners. One solution is to make simultaneous translation a condition of inclusion in the VN30 or VN50 index, for companies with a market capitalisation of more than $250m. In other areas, the government has sought to increase access to the financial markets only to be rebuffed. Vietnam opened a derivatives market in 2017, for example, with the intention of encouraging domestic and foreign participation. In preparation for this new market, we changed our investment fund policies to enable use of VN30 futures for hedging and efficient portfolio management. A year and a half on, it hasn’t been possible for us, nor to our knowledge any other foreign institution, to take up these contracts. This is through no fault of the authorities, but rather the apparent disinterest of foreign custodians in becoming clearing members of the exchange. More blockages are caused by legislation, particularly foreign ownership limits. This issue should have been resolved by the passage of Decree 60 in 2015, but the subsequent introduction of so-called “restricted sectors” limited its application and sparked concern of nationalist resistance. Vietnam lists 236 “restricted” areas where foreigners are limited to 49 per cent of shares. Reducing the number of sectors to no more than 20 —as has been suggested in policy circles — would go a long way to removing this big obstacle. Even sectors that aren’t “restricted” face legal hurdles. On the one hand, a decree allows foreigners to own in excess of 49 per cent of the shares of a company operating outside of “restricted sectors”. On the other, a revenue law subjects companies more than 51 per cent owned by foreigners to a higher tax rate. Despite apparent assurances that the revenue law wouldn’t be enforced, many companies are reluctant to risk such a penalty, especially because a decree has less seniority than an actual law. A new securities law released in draft form in late 2018 has prompted broad debate with interested parties and should help in resolving conflicts between laws. A simple statement that the securities law will prevail in case of conflicts would do the trick. While Vietnam’s significant progress deserves recognition, its path to full compliance with international market norms is the real story for investors. There’s little doubt that this is a journey prime minister Nguyen Xuan Phuc wishes to take. Mr Phuc instructed the ministry of finance and the State Securities Commission to collaborate with relevant ministries on measures to encourage an upgrade. Tran Van Dung, chairman of the SSC, has promised to promote solutions to make Vietnam an emerging market. MSCI’s watchlist in June — and grasping its prize.